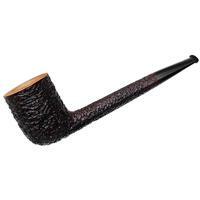 The Liverpool's style of elongated shank and abbreviated, tapered stem is paired here to a Brandy-esque bowl, drastically tapered toward the rim above a bold heel. 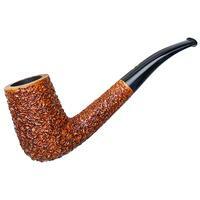 With a deep chamber and bowl-centric proportions, it's a piece that fits well into Radice's Italian neoclassic shaping style. 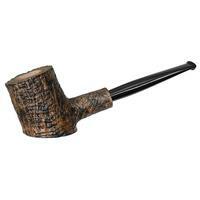 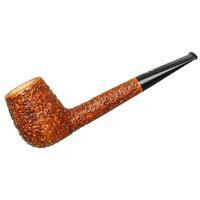 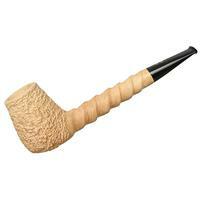 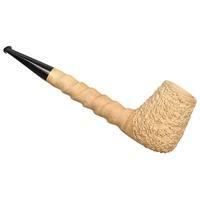 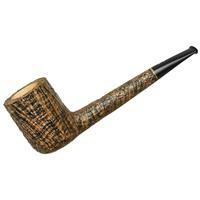 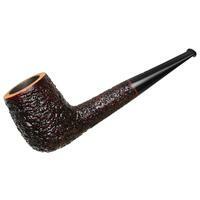 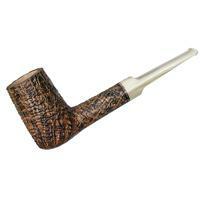 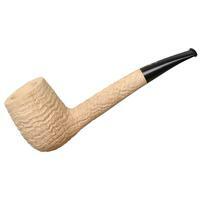 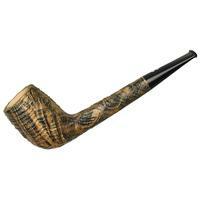 Offered here in the Rind Pure line, the rusticated bowl is contrasted by a spiral-carved motif along the shank, all wearing a virgin briar finish that's sure to darken handsomely.